Whether you’re angling for a raise, trying to close a deal, or asking for the best table at a restaurant, you can learn a lot from Chris Voss. He’s a master of the art of getting people to do things the way he wants them done. “Negotiate in their world. Persuasion is not about how bright or smooth or forceful you are. It’s about the other party convincing themselves that the solution you want is their own idea”, he says in his fascinating bestselling book, Never Split the Difference: Negotiating As If Your Life Depended on It. Chris Voss is a former international FBI hostage negotiator with 24 years of experience in some of the most high-stakes situations imaginable, and the techniques he used then – and continues to use in his present-day role as founder and CEO of the famed Black Swan Group – can be applied to your daily life to help you become a better arbitrator, a better communicator, and a better listener. His philosophy says that everything you’ve previously learned about negotiation is wrong: people are not rational; compromise is the worst thing you can do; the real art of negotiation lies in emotional intelligence. These ideas may sound counterintuitive, but they’re behind some of the most effective techniques you can use to get what you want in life – especially in business. 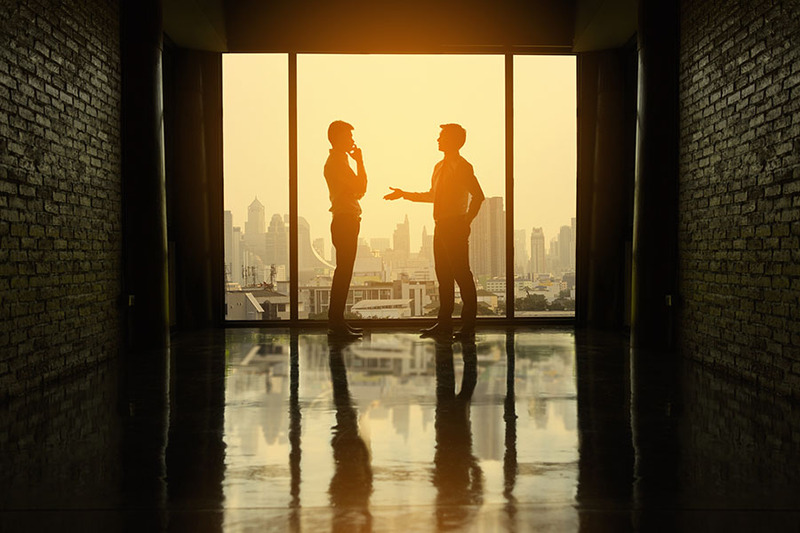 The most important thing you need to do to successfully negotiate is to convince the other person that you’re listening intently, that you empathize with them, and that you have a sincere desire to better understand what the other person is experiencing. This means opening up your senses, talking less and listening more. You can learn almost everything you need – more, in fact, than most people would like you to know – just by watching and listening. The following Voss techniques can be used to win any negotiation, whether you’re making a deal in a boardroom, haggling at a car dealership, or arguing at the dinner table. Practice tactical empathy. Show your counterpart that you see the nuances of their emotions. Proactively address their fears. Use phrases like “It sounds like you’re afraid of…” and “It looks like you’re concerned about…” to disarm them. Also, understanding and acknowledging the concerns the other party may have about you is a sign of strength. “Empathy makes you more effective; it saves time. The other side will come to agree with you sooner if they feel empathy from you,” says Voss. “Stop me if any of this sounds unfair.” This use of the word “fair” is positive and constructive. It sets the stage for honest and empathetic negotiation. Early on in a negotiation, try saying, “I want you to feel like you’re being treated fairly at all times. So please stop me at any time if you feel I’m being unfair, and we’ll address it.” It’s simple and clear and sets you up as an honest dealer. With that statement, you let people know it’s okay to use the word “fair” with you as well, as long as they use it honestly. Fairness is essential to negotiation success. Create the illusion of control. The secret to gaining the upper hand in a negotiation is to give the other side the illusion of control. There’s great power in deference. Ask your opponent questions that begin with “How?” or “What?” People love to be asked how to do something. They feel powerful, and from a deferential position, you’ve actually granted that power, and you’re the one that now actually has the upper hand in the conversation. Whether or not we’re aware of it, our days are filled with negotiations of one sort or another: getting our children to finish their homework or to put down their phones; asking for an extra personal day; finessing a better rate on a new car loan. At one time or another, almost every facet of our personal and professional lives relies on our ability to negotiate. By using techniques grounded in emotional intelligence, rather than those based on logic and reason alone, you’re more likely to have a competitive edge.